This model IM-706M is one of our popular selling prodcuts which is a 100% Polyester Inkjet printing blank artist canvas. Fine textured Matte surface. Gram weight of this model is 320gsm. 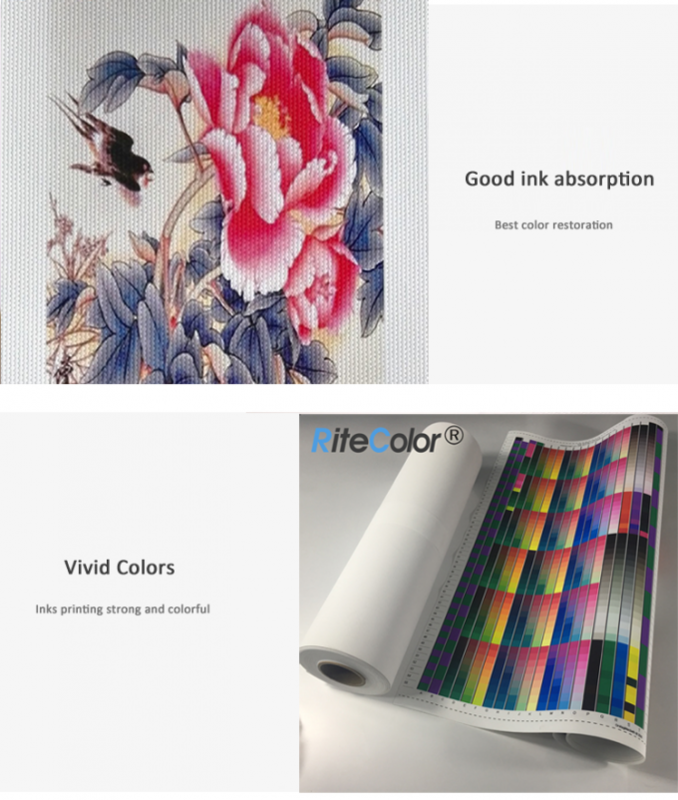 This canvas is suitable for Epson sure color,Muton,Roland ,Mimaki etc. printers with Eco-solvent / latex inks. It has an excellent ink control and absorption,when stretching canvas,there is no cracking or tearing. Our polyester canvas widely used in high-resolution graphic output, wall stretched canvas decoration, indoor images and so on. Usual size is 24", 36", 42", 44", 50", 60"*30m/roll. OEM service is also welcome.